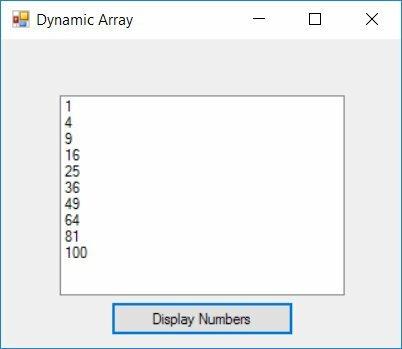 In this lesson, we shall learn how to create arrays in Visual Basic 2019. By definition, an array is a variable with a single name that represents multiple items. To deal with a single item, we only need to declare one variable. However, in dealing with multiple items of similar type, we need to declare an array of variables. 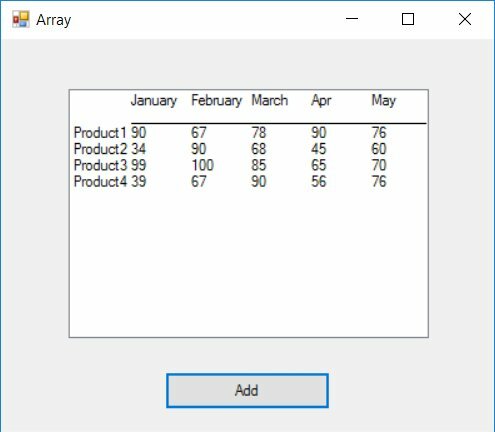 An array in VB 2019 is a table of items that are made up of rows and columns. The way to reference an element in a one-dimensional array is ArrayName(x), where x is the index or position number of the element. The way to reference an element in a two-dimensional array is ArrayName(x,y) , where (x,y) is the index or position number of the element. Usually, it is sufficient to use one dimensional and two dimensional array, you only need to use higher dimensional arrays if you need to deal with more complex problems. 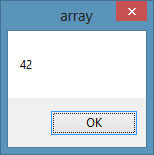 Let me illustrate the arrays with tables. An array can be one dimensional or multidimensional. One dimensional array is like a list of items or a table that consists of one row of items or one column of items. A two dimensional array is like a list of items or a table that consists of n row of items and m column of items. The following example is a 4x4 array. In Visual Basic 2019 , we can use Public or Dim statement to declare an array just as the way we declare a single variable. The Public statement declares an array that can be used throughout an application while the Dim statement declare an array that could be used only in a local procedure or module. Besides that, we want to display the output in a table form. Therefore, we use a list box. We named the list box listVolume. The syntax to populate the list box is Listbox.Items.Add. *Notice that we have omitted the elements saleVol(0,m), where m=0,1,2,3,4,5,6 and saleVol(n,0) where n=0,1,2,3,4. This is done for easy reading of the code. *mxn indicates the array size. 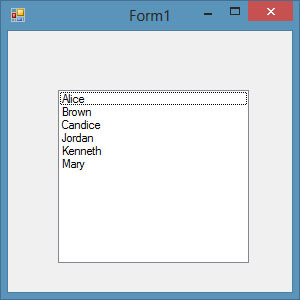 In this example, we want to display the elements of an array in a list box. The size of the array will only be known during runtime. It demonstrates the creation of a dynamic array using the ReDim keyword.